The Republican National Committee is distancing itself from the megadonor Koch brothers after disputes about candidates and the direction of the party. RNC Chairwoman Ronna McDaniel claimed in a memo that the Kochs are putting business interests ahead of the party. 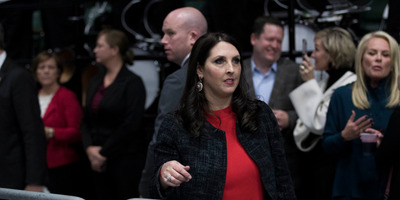 WASHINGTON – The ongoing feud between the Republican-boosting Koch network and the Trump-controlled Republican National Committee heated up on Thursday when RNC chairwoman Ronna McDaniel circulated a memo to donors to distance themselves from the billionaire mega donors. “We shifted our focus away from TV and mail advertising into a system where the RNC sits at the center of Republican election operations,” McDaniel said. McDaniel concluded the letter by noting the party’s infrastructure is strong enough to operate on its own. “In closing I want to be very clear: the RNC proved in 2014 and 2016 that the Party is the only entity which can be trusted with the data Republicans candidates need to win up and down the ballot – and this week proves why it is NECESSARY that the Party keep building on our successful operation,” she wrote. Politico first reported the memo to donors. The Koch network has traditionally been conservative, sometimes libertarian-leaning, and policy focused. Emphasis on the latter has intensified as the Trump administration has moved forward with agenda items like protectionist trade policies. The hostility has reached a boiling point, with Trump launching Twitter tirades against the Koch Network in recent days.